Rouge Coco Shine in 55 Romance to be exact! I have wanted one of these lipsticks for quite some time now! Every time I have walked passed them I have stopped to look but ultimately walked away without one after convincing myself it would be a totally unnecessary purchase. 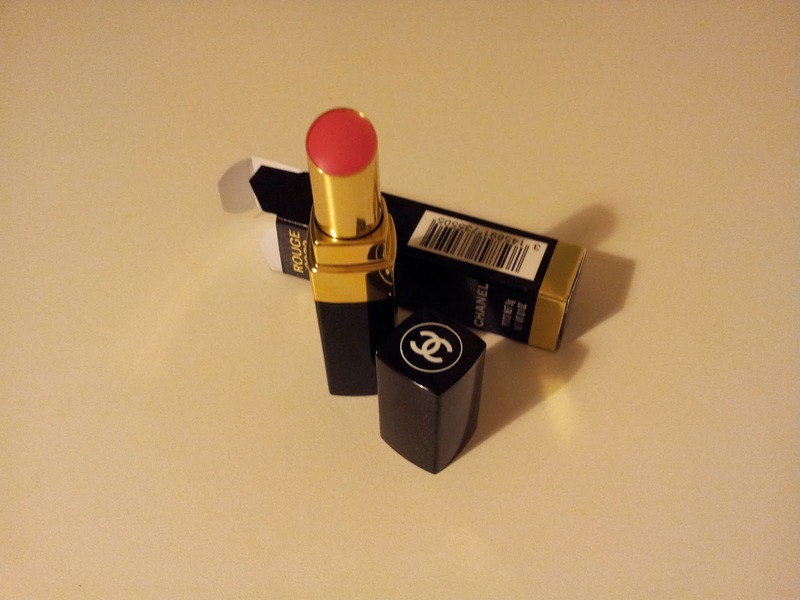 After all...I don't think I can say honestly that I need a Chanel lipstick! Last week I was walking through John Lewis on my way home and I stopped to have a look. This time I finally did it! I bought one :) After looking at the all the colours I like I decided on Romance. It is such a pretty pink. 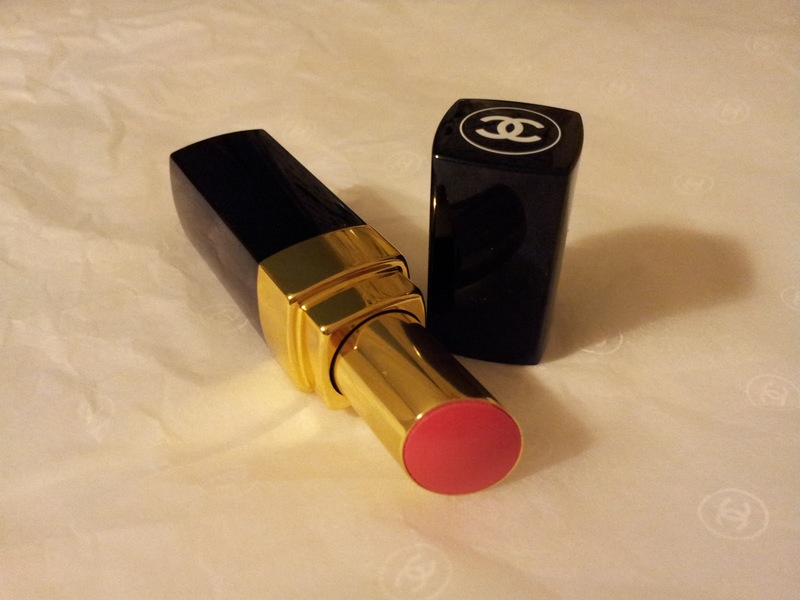 It is bright but not garish so is perfect for day time if your not someone who would normally choose a bright lip. The packaging reads "Hydrating Sheer Lipshine, Water-light Feel" but I was still a little surprised but the texture of this lipstick. It is a much thinner consistency than I was expecting. I thought it would be creamy like most lipsticks but it wasn't and I agree with the description that it has a water like feel. This is what gives it its lovely shine, almost gloss like when you have put it on. It is also very hydrating as it states. I have worn it with and without lip balm and my lips haven't felt as dry as the sometimes can with normal lipsticks. The staying power is quite good for a thinner textured lip product. When not eating or drinking I have had it on for around two hours before having to reapply. When I am eating and drinking however I find that it doesn't last too long. This looks like a lovely shade! It really is, much better in person! I found your blog through the monday blues blog hop and i am liking your blog! keep up the good work! Wow that's a pretty lipstick!